Welcome to Reception. 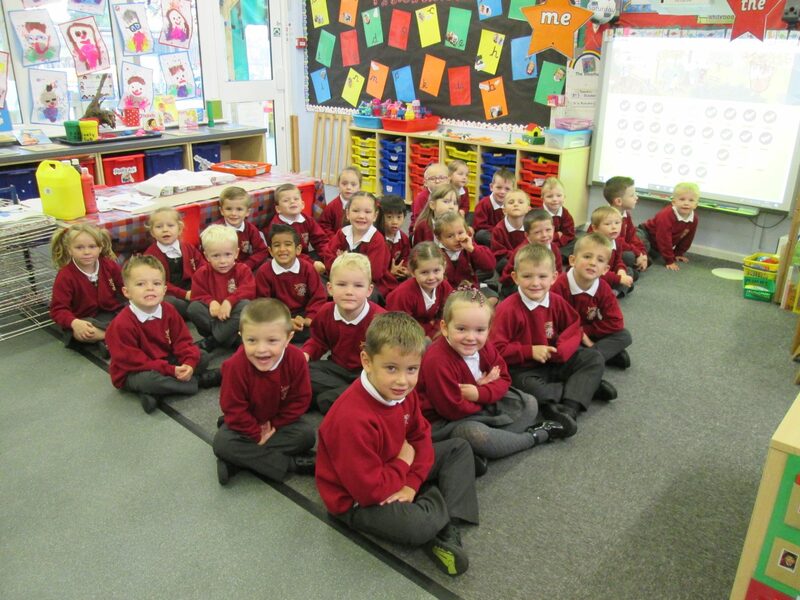 We are a happy, friendly and inclusive class of children. Mrs Ashton is our Teacher and Mrs Rhodes is our Teaching Assistant. We also have Mrs Toye who helps us with our learning too! We love to learn through independent play and our classroom enables us to do this well. We are given lots of opportunities to develop our own ideas and use the exciting resources provided to help us learn. In Reception we love to keep fit and learn about different ways to be healthy. Fitzy Fox, our class mascot helps us to do this. Each Friday, we are given the opportunity to take Fitzy and his bag of goodies home. We have so much fun using the scoop and ball set, skipping rope and the range of other exciting resources. Afterwards we complete Fitzy’s diary so that we can share our adventures with the rest of the class. We are given lots of opportunities to develop our speaking and listening skills in Reception. One of our favourites is ‘Show and Tell’, where we are allowed to bring in something special from home to talk about. Our classmates ask lots of clever questions to find out more about what we have brought in. We also learn to tell whole stories by ourselves. Some are stories that we already know and others we make up completely on our own using pictures. We have lots of exciting topics throughout the year that help us to learn including ‘Celebrations’ where we learn about how different cultures celebrate different occasions, ‘Food’ where we do lots of yummy cooking and food tasting and ‘Superheroes’ where we obviously learn how to be real-life Superheroes. We have lots of fantastic opportunities throughout the year to explore the world outside our school environment. One of these is our twice yearly visit to Milton church where we celebrate Christmas and Easter with the rest of the school. Other exciting visits include a trip to the Ice-cream Farm to visit Santa Claus and another to Imagine That in Liverpool where we get to develop our investigative skills. As you can see, learning in Reception at Hillside is lots of fun!